The Doom Patrol is a superhero team appearing in publications from DC Comics. The original Doom Patrol first appeared in My Greatest Adventure #80 (June 1963). Writers Arnold Drake (who was the feature's regular scripter) and Bob Haney, artist Bruno Premiani, and editor Murray Boltinoff are generally credited as the team's creators; however, Drake insisted that Haney did no more than answer Drake's call for help to meet the short deadline he had been given for the first story. The Doom Patrol has since appeared in multiple incarnations. The first Doom Patrol consisted of super-powered misfits, whose "gifts" caused them alienation and trauma. 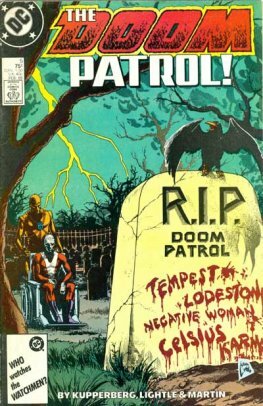 The series was canceled in 1968, and Drake killed the team off in the final issue, Doom Patrol #121 (September–October 1968). 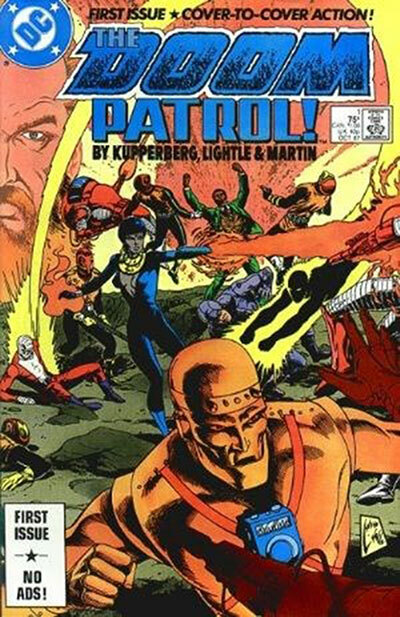 In the years after this story several subsequent Doom Patrol series were launched. Each series tried to capture the spirit of the original team, but the only character constant to all was Robotman.